Follow these steps to register your domain name. Once your domain is registered, you’ll be ready to customize your site. To register your domain, visit musites.org. 1. 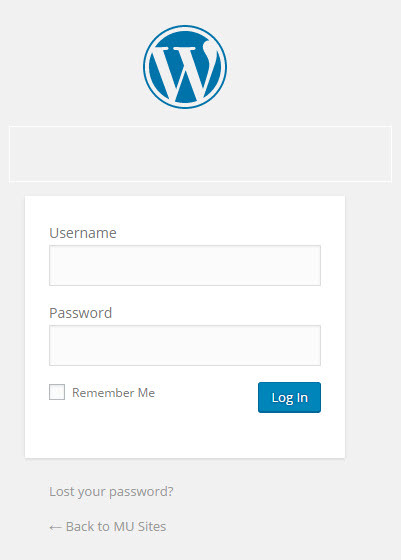 Click Get Started or Login. You are prompted to log in to WordPress. Log in using your Maryville University credentials. 2. Type your first name and last name as the domain name, and then click Click to Continue to complete the registration process. 3. Review your domain, contact information, and the Acceptable and Responsible Use Policy. 4. Select the acknowledgement checkbox, and then click Register Now. Click Start Over to choose a different domain. You may NOT be redirected to the cPanel. If you aren’t redirected, click Login to access your cPanel. 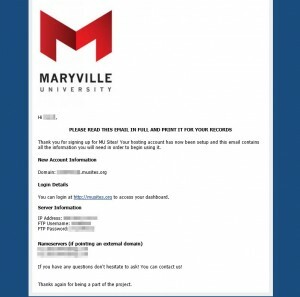 A confirmation email is sent to your Maryville.edu email address, and contains your domain and login instructions.